Apple may now be thinking to finally introduce other phones in the market after a long sabbatical in producing new devices aside from the iPhone and iPad to capture people's interest. Also, the trend among other equally or even more successful OEMs is to launch a line-up of smartphones for the low-, mid- and high-end markets, something that does not still sit well with Apple. With Samsung capturing a portion of Apple's niche with the introduction of their latest flagship smartphone, the Cupertino Company will surely feel the brunt of their decision to keep just one high-end smartphone and intentionally not capture lower- and middle-range markets. Personally, I think that Apple will do well if it leaves its snotty image and it might just be what they need to improve their stock's value. Also, introducing the iPad Mini was more than an admission that they do need to address this particular market and that they may be feeling the need to introduce lower-end devices as well. Let's hope that Apple gets its wits together and that some executives swallow their pride for the sake of many. If there ever was a time for HTC to be extremely timely with their products, now is it. But with the delay in shipment caused by issues with production, they are losing precious time in creating interest into HTC One because unless you have plenty of money to spend on marketing, you won't be able to capture people's attention without a unit. Adding to the insult is that this might be HTC's last chance to save itself from the effects of bad internal decisions. With the sleek aluminum design of the HTC One, it is very hard not to like. Also, personally, HTC has created pretty good smartphones from the Nexus to the HD 2. However, they were not able to sustain it and it reflected on various aspects of their business. If the HTC One does not get shipped this month and that the Company does not do all it can to come up with deadlines, then their flagship devices would have to deal with more scene stealers from Sony, Motorola, LG and even Apple, at worst, it could mean the demise for the formerly innovative company. 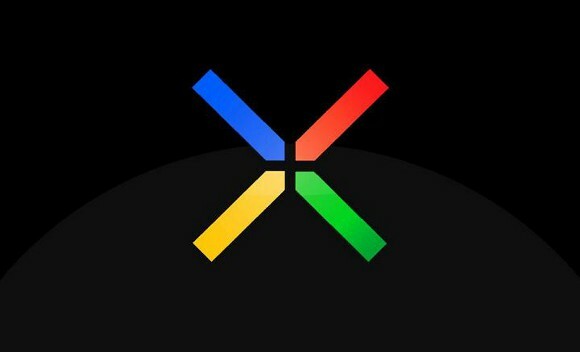 We heard some more details that starting to appear about the forthcoming LG Nexus device. Well, it's likely to be LG. Launch is targeted for mid-November, so there's plenty of time for more details to emerge. We will just have to wait and see on this one. LG has just announced plans to roll out android 4.0 Jelly Bean update to the Optimus G globally this month. According to a press release today by LG. The first country to receive the upgrade will be Singapore "at the end of January," then slowly work their way through the other countries with LTE networks. Back in November, the Optimus G landed in the states, along with Canada, Korea and Japan. Since then LG has sold over 1 million units. That number still lags when comparing against the 10 million Galaxy Note 2s sold or the 2 million iPhone 5 pre-orders seen in 24 hours, but it's still a phone worthy of a global stage. There's no official date on when Canada will get graced with Jelly Bean, but you can bank on it hitting Rogers, Bell, TELUS and SaskTel with the promised Q2 timing. SEOUL, Jan. 22, 2013 - The Optimus G, LG's most premium and powerful 4G LTE smartphone, will begin its global roll-out into over 50 countries this month. The Optimus G has already been launched in the United States, Canada, Korea and Japan to very favorable reviews and LG is aiming to build on the excitement already generated to launch the device in other LTE markets. "As 4G LTE availability expands on a global scale, we will leverage our strong LTE technology and expertise to offer consumers the best 4G experience through our devices," said Dr. Jong-seok Park, president and CEO of LG Electronics Mobile Communications Company. "With the latest Jelly Bean OS and improved software, Optimus G will make a strong case for the title of ultimate premium 4G LTE smartphone." Since the launch of Optimus G last September, the smartphone has been enthusiastically received by audiences as one of the most advanced 4G LTE devices currently available. Optimus G has been receiving accolades from consumers and industry thought leaders alike for its powerful performance and thoughtful user experience. Optimus G's unrivaled power originates from its innovative hardware design which includes Qualcomm's advanced SnapdragonTM S4 Pro Quad-Core processor. The device also delivers blazing fast data transfer speeds using today's 4G LTE telecommunication network. "LG's long history of LTE know-how is evident in the DNA of the Optimus G," said Dr. Park. "As such, we hope consumers will take a deep, hard look at Optimus G when deciding which smartphone will give them the best 4G experience." 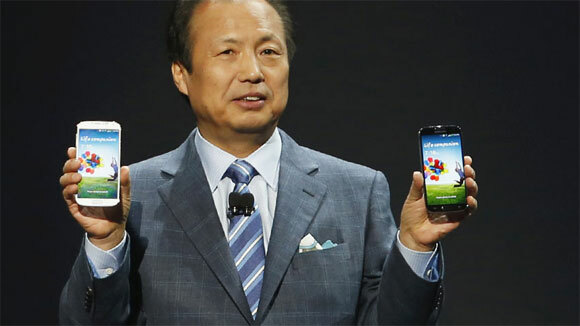 Samsung today announced a new android phone for its Chinese market. The phone is named as GT-I8262. The device runs on Android 4.1 jelly update and is another mid-range phone. The phone is powered by a 1.2 GHz dual core process and a 768 MB of RAM. Other features include a 5 Mega-pixel, camera, Bluetooth and wifi. A battery of 1700 mAh also comes with the phone, which allows longer charging times for the phone. The screen display of the phone is 480 by 800 and has dimensions of 68.2 x 128.9 x 10.7. However, Samsung is unlikely to showcase this phone at upcoming Mobile World Congress in Barcelona, just due to the phone being an ordinary phone. Seems, Samsung Co. is warming up people for some bigger surprises at MWC. So, would be fascinating to see the mobile range Samsung unveils at MWC. Samsung's role as both supplier and competitor of some of the biggest names in the smartphone industry can make most of its clients wary of conducting further business with them. A good example is a report from Apple Insider that says Nokia may also start veering away from Samsung because their technology can get compromised with continued business with the Korean giant. Furthermore, the source also claims that instead of shipping next-generation components to their clients, Samsung typically cancels and use the components for themselves. Furthermore, the source states that Samsung has stolen an important specialized design for OLED from the Finnish giant, Nokia. When you see a Samsung (certain specialized new design for) OLED phone as you surely will, you are looking at something that was stolen from Nokia. Just recently, Apple won $1B against a lawsuit filed against Samsung for infringing on intellectual property rights. With the kinds of allegations that Samsung is facing from two major companies, it will be hard for them to come up with something new without much scrutiny. By end of 2013, IHS analysts think that Samsung will double its lead for cellphone handset manufacturing. 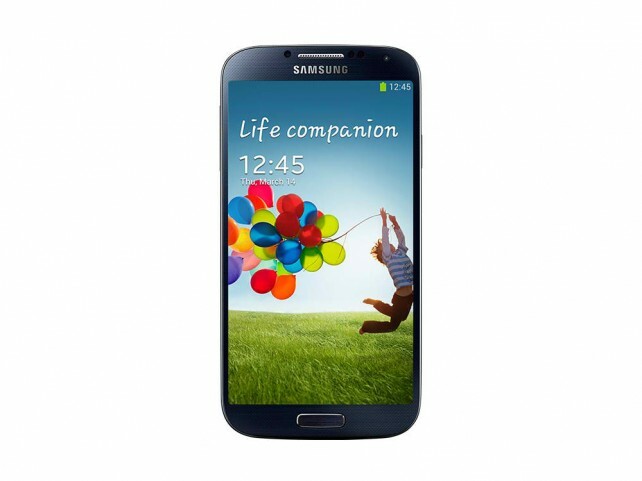 This will also be brought about by the shipment of Galaxy S 4 units, which has just been touted as the most pre-registered phone in history by Carphone Warehouse, a large online mobile vendor in UK. IHS also thinks that Samsung, which is already leading by 5%, is likely to increase its lead further by 11% over Nokia, which is the second top manufacturer. Apple comes in at third. Samsung really sits on great marketing and with most of its rivals experiencing difficulties in growth and are experiencing other internal conflicts, this could be the year that Samsung will become undisputed smartphone manufacturer in all market ranges. However, some people are getting quite concerned about its success that it is already associated with Android. Will Android be swallowed up by Samsung as well or will it provoke Google to create a device that will rival Samsung's success? What do you think? According to Geek.com, some of the Best Buy stores will soon feature a special section dedicated to showing off tablets, computers, and smartphones from Samsung. Apparently there will be "large Samsung signage" and demonstration stations to show off the features of Samsung products. And like the Apple mini-stores, Best Buy employees will receive special training, though it appears that the entire mobile department staff will be receiving this training instead of select individuals like the Apple sections. If all goes according to plan, Samsung and Best Buy plan to eventually roll the mini-store expansion out to all of Best Buy's locations. 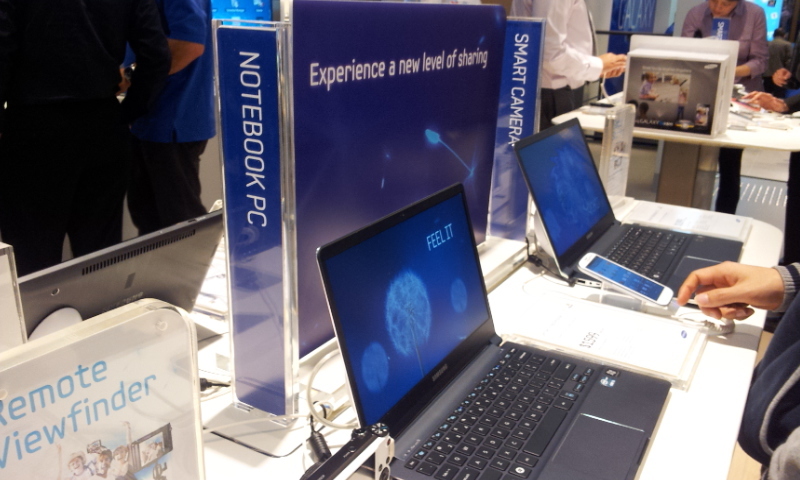 The installation of special in-house Samsung "stores" are timed to coincide with the launch of the Galaxy S4, which is widely expected to be one of the best-selling smartphones of 2013. The only problem with any device that comes out after the HTC One is that they really need to look as good as or possibly even better than the HTC flagship smartphone. Rumor has it that the Galaxy Note 3's build quality is being improved after HTC One "rocked" Samsung's core and made them realized that they're using plastic their device needs a better build quality to top HTC One sales. Not that they can be compared, since these are two very different devices. Case in point, HTC One's design is really fabulous. However, to each his own as some people may like plastic, while some will prefer anodized aluminum material but it cannot be denied that many are complaining about Samsung's polycarbonate plastic design and the company just might be contemplating about resolving this on their next device's release, for once. Furthermore, the reason why Samsung uses plastic is because it is cheaper and quicker to mass produce, as opposed to metal units. It will be interesting to see if Samsung will actually shift to producing metal phones and tablets and how it will affect their pricing. As of now, the company enjoys pricing their products as expensively as devices that are considered to have better build quality. A Samsung Electronics executive said Wednesday the firm will expand its smartphone business in China to better compete with Apple in the world's largest smartphone market. "Samsung understands that Apple intends to boost its mobile business in China, as well as in Japan, meaning that we should try harder in these countries," Samsung's mobile business chief Shin Jong-kyun said. This announcement follows hot on the heels of Apple's recent event that brought us the iPhone 5S with a 64-bit CPU. But while Apple did optimize the iOS 7 for 64-bit processors, Android OS is yet to support such thing. The 64-bit CPUs are a must-have for devices with 4GB or more RAM and there is a chance Android 4.4 KitKat brings 64-bit support. There is also a probability Samsung unveils a flagship with 4GB of RAM next year, since the Note 3 already has 3GB. Samsung had been pretty quite this year at CES, but we have a feeling that the company will have more to show during the Mobile World Congress. In fact, Samsung has now started sending out invites for an event that will take place in Barcelona on February 23, at Hotel ARTS. The event is going to be focused solely on the Tizen platform, and Samsung claims that only at this event, the press and enthusiasts will have the chance to get an exclusive sneak preview of the newest Tizen devices. Please join the Tizen Association Board on Sunday, 23 February 2014 for a welcome reception and kick-off to MWC 2014. During this invite only event, you will get an exclusive sneak preview of the newest Tizen devices as well as an opportunity to learn about the major milestones that the Tizen project has hit since last year's event. We ask you to reserve time from 3-6 PM CET on 23 February 2014 at Hotel ARTS Barcelona where you will also have the opportunity to hear from and interview Tizen Association Board Members. While NTT Docomo will most likely not be present at the event, other backers are expected to attend, such as SK Telecom, KT Corporation and LG U+. In a month from now we'll most likely see whether or not Tizen is worth it. It's rather difficult to lift a new platform from the ground, when Android and iOS are going strong. Ubuntu has also gained grip lately and it looks like it's one step ahead of Tizen, thanks to the collaboration between Canonical and Meizu. Whether or not Samsung's platform will manage to make an impact remains to be seen, but we should remind you that these first Tizen devices will most likely not fit in the high-end range. Rovio said it would take advantage of its huge mobile game network to distribute its new Angry Birds video cartoon series. Rovio games, including the popular Angry Birds have been downloaded over 1.7 billion times, Mikael Hed, CEO of Rovio, reckons that the company can reach a far wider and more targeted global audience via the in-app cartoon channel than through traditional distribution methods. Angry Birds Toons will have 52 weekly episodes starting Saturday on TV and the next day in Angry Birds apps and video-on-demand platforms. "We want to combine the feel of cartoon classics with modern twists on an unprecedented scale. Our team has been working tremendously hard to once again delight our fans with a new way to experience these loveable characters," said Nick Dorra, the head of animation at Rovio. March 11, 2013 -- Espoo, Finland -- Rovio Entertainment is bringing its weekly Angry Birds Toons animated series to fans around the world, setting an industry first in launching a video distribution channel across all of its Angry Birds game titles on smartphones and tablets. On the weekend of March 16-17th, Angry Birds fans can watch the latest adventures of the birds and pigs through a dedicated channel available in Rovio games, as well as on select video-on-demand channel providers, Smart TVs and connected devices. Additionally, the Angry Birds Toons series will also air on select TV networks around the world. "We've long wanted to tell our fans the story of the Angry Birds and the Bad Piggies, to introduce their personalities and their world in detail." said Mikael Hed, CEO of Rovio. "We're delighted to introduce all this through our new channel, with easy and instant access to the stories in the palm of your hand. With over 1.7 billion downloads, we can reach a far wider and more engaged global audience than traditional distribution would allow. Launching the channel, and partnering up with some of the best video-on-demand providers and TV networks, is an important milestone for us on our journey towards becoming a fully fledged entertainment powerhouse." "We want to combine the feel of cartoon classics with modern twists on an unprecedented scale. Our team has been working tremendously hard to once again delight our fans with a new way to experience these loveable characters", said Nick Dorra, Head of Animation at Rovio. Angry Birds Toons will feature 52 episodes, with a new episode released each week, starting March 16th on TV broadcast and March 17th in all Angry Birds apps and on video-on-demand platforms. To watch the series through Rovio's Angry Birds Toons channel, fans simply download the latest update to any Angry Birds game, which will unlock the new channel button in the game homescreen on March 17th. In addition, Rovio has partnered with some of the best third party distribution platforms in the world to expand its global reach and drive even greater local engagement. An Angry Birds Toons channel will be available on all of Comcast's video platforms in the US including Xfinity on Demand, online at Xfinity.com/tv and the Xfinity TV Player app and globally on Samsung Smart TVs at launch, followed by Roku boxes and other platforms. On March 16th, Angry Birds Toons will land on television networks around the globe. Fans can tune in each week to FOX8 in Australia, JEI TV in Korea, ANTV in Indonesia, Cartoon Network in India, MTV3 Juniori and MTV3 in Finland, the Children's Channel in Israel, 1+1 networks in Ukraine, Gulli and Canal J in France, SUPER RTL in Germany, TV2 in Norway, Canal 13 in Chile and Gloob in Brazil to see the latest Angry Birds Toons episode. In addition, Activision, Paramount Pictures, BlackBerry, and Sony Pictures are partnering with Rovio at the launch of the Angry Birds Toons channel. Microsoft updated its Outlook Android app, pushing new features and that distinctive, minimalist Windows Phone 8 aesthetic to its flagship mail program. The update is already available in the Google Play store, and works with Android OS versions 2.1 to 2.3.3 and 4.0 to 4.1. - To view your Sent, Draft, Deleted or custom folders, from the app menu select Account Settings, Folders' and Refresh folders. Then select from the list which folders you would like to automatically sync to receive updates. Facebook has been under intense pressure to take over the phones of the users. This is evidenced by Chat Heads, Facebook Home, Messenger Apps and official updates. It has even gone further and started offering full voice calls for free to the Messenger users in the United States. This same feature was last month offered to Canadians. The service requires that Facebook messenger should be naturally installed. If you want to initiate call, you simply have to head in to the list of contacts, open a message, and then hit "I" which is at the top right corner. Once you have done this, you will see "Free Call" option in the list. The user can receive call for free if the "Free Call" is white. If it is gray, that is an indication that your friend cannot receive calls. This new feature which does not require update of applications should at the present be rolling out to the users. 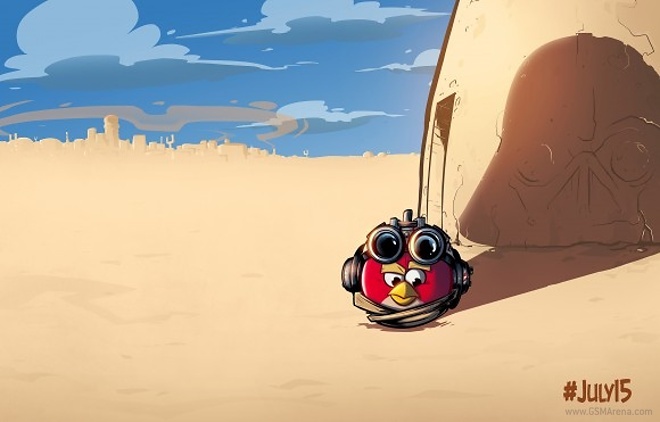 After great success with the Angry Birds games, it looks like Rovio is all set to extend its collection of Angry Birds franchise, as the makers of the popular game say there is big news coming next week on July 15. Attention, Angry Birds fans! Stay tuned on Monday, July 15th, for big news about a brand new game! We're talking the biggest character line-up ever, awesome new powers, and maybe even a few surprises! Intrigued? Stay tuned for more news on #July15! Announced by Verizon, now qualified Verizon customers will have the opportunity to purchase phones or tablets at full retail price, but spread the cost of that device out over a 12-month period. Full retail priced smartphone or tablet price must be a minimum of $349.99. Pay for the full retail priced smartphone or tablet in 12 payments. Finance charge of $24, which is just $2 per installment. Device Payment Plan customers can take advantage of Share Everything pricing and data sharing. Feel free to pay off the full balance of your new full retail priced smartphone or tablet anytime you want. Maximum of two open Installment Plans per customer, subject to credit approval. $1000 combined Installment Plan balance limit per customer. According to Business Insider, Google may be planning its own retail stores. While we've heard this kind of rumor before, what makes this claim truly interesting is that the retail front supposedly will only feature Google Glass. When briefed on this story, Google said, "we don't plan to comment on rumor or speculation." 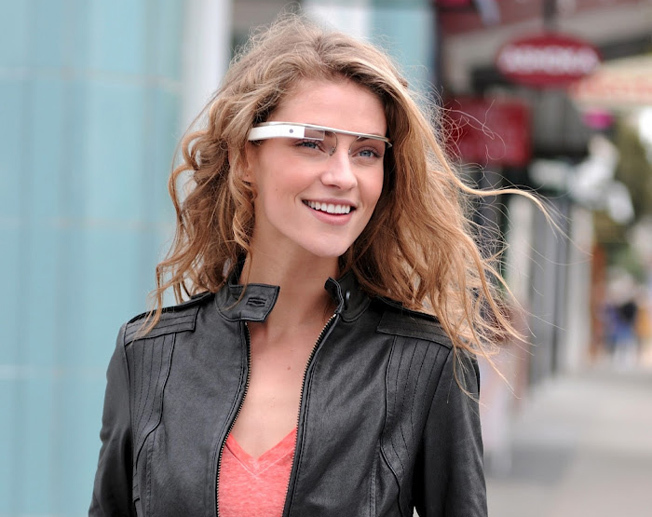 Google Glass is quite a bit different than other mobile computing devices out there, which could make for a sharp learning curve. Having a retail presence for Glass could be an important way to train new owners, educate about Glass, and even help some folks get over the fear or distrust of it. 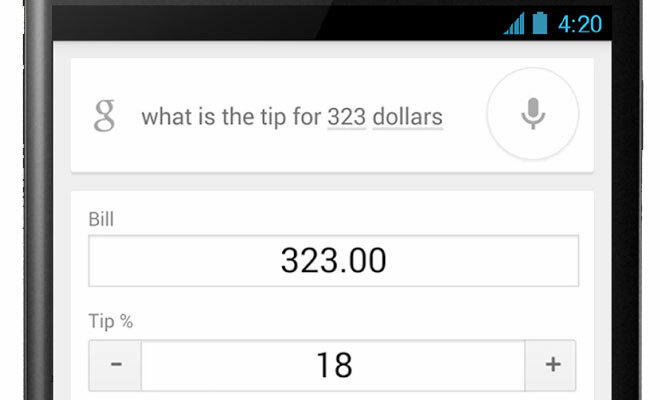 Google makes it's Search mobile app better by adding a tip calculator to its laundry list of features. The tip calculator can be initiated by either a voice command or typing for example "What's the tip for X dollars" and a special interface will pop up prompting you to fill in the facts of the order. To ensure that Google to come back you the exact tip amount, you'll have to input the total bill, adjust the end percentage and split the check among the people you're by helping cover their. This will output two numbers - the first one is the tip each person has to give, and also the other will be the bill (plus tip) divided through the number of people. This tool definitely comes handy when you are out of your friends and trying to bring up a 3rd party app to calculate tips while you can use the search app much easiler from your finger tips.